The following o֜rders [of Ham֔an] were iss֖ued in the na֥me of King Achashver֑osh, and s֖ealed with ֥the king’s sig֦net. [Senator] McConn֞ell [said]: I obj֡ect. 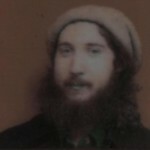 The source images for “A Modern Esther Tribute” were first posted at Bayit: Your Jewish Home, here. 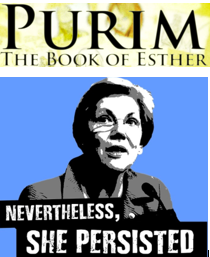 “A Modern Esther Tribute for Purim and Women’s History Month, by Rabbi David Evan Markus” is shared by Aharon N. Varady (transcription) with a Creative Commons Attribution-ShareAlike 4.0 International copyleft license. Please reciprocate for any adaptation or redistribution of this work by (1) properly attributing the work to Aharon N. Varady (transcription), David Evan Markus and Bayit: Your Jewish Home, (2) clearly indicating the date you accessed the resource and whether any changes have been made (and if so, please be in touch with us and leave a comment below so that we might note your adaptation or improvement), (3) providing a link back to this source, and (4) specifying the Creative Commons Attribution-ShareAlike (CC BY-SA) 4.0 International copyleft license under which this work was shared.